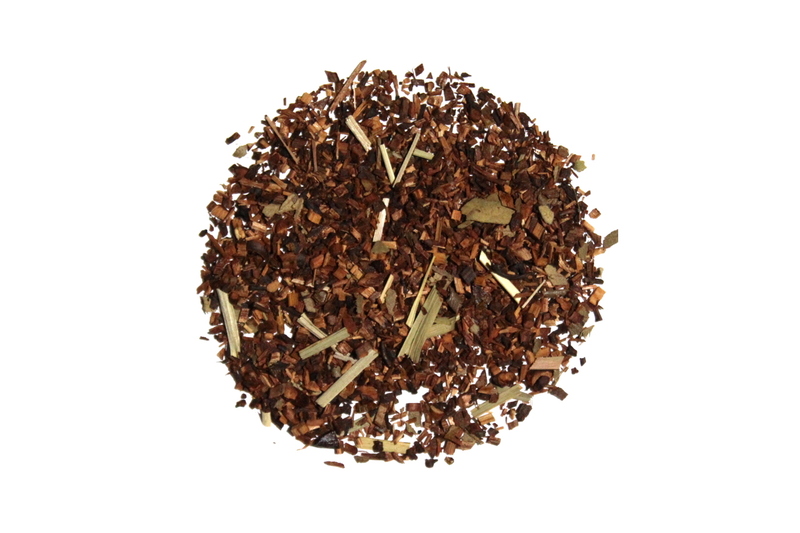 Honeybush, lemongrass, and lemon myrtle combine in this tea to make a great cold brew tea to stave off the summer heat. With the bold citrus flavors, you can sweeten this tea with honey or cane sugar and not lose the essence of this tea. Great tea! Both the citrus & rooibos are present, but neither overwhelms the other. Perfect for an afternoon refresh. Delicious and refreshing citrus flavor. It's recommended as a cold brew, but also pretty nice hot. This tea is made for the cold brew tea method. It has a nice sweetness that is just subtle enough to enjoy alone, but is also delicious with a dash of honey.